We provide Heavy Duty Wooden Box with on-site packaging services for the variety of machinery manufacturers. 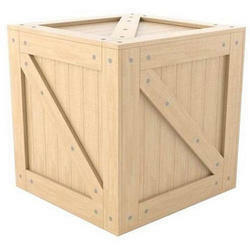 With our expertise in the field we manufacture and supply a comprehensive array of Heavy Duty Wooden Box. We are equipped to customize our range to suit the requirements and specifications of the clients. Our range is made from the best quality material procured from the most reliable vendors. Backed with the support of the rich experience we gained in the industry so far, our company has been involved in providing a rich and impeccable assortment of Heavy Duty Wooden Boxes. 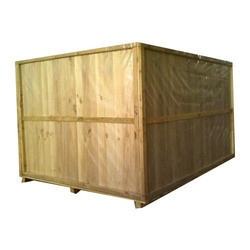 We offer top quality Heavy Duty Wooden Boxes that is extensively used in heavy industries for packaging and transporting the products. This heavy duty wooden box is manufactured from high grade wood with the help of cutting edge technology keeping in mind the international standards.